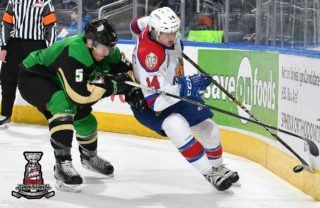 RAIDER REVIEW: The Raiders (28-25-9-2) welcome the Lethbridge Hurricanes (32-25-6-0) into the Art Hauser Centre for the final time this season on Wall Of Honour Night. Last night, the Raiders erased a three-goal deficit to beat the Swift Current Broncos 5-4 in a shootout at the Innovation Credit Union i-Plex. After going down 2-0, Parker Kelly deflected Sergei Sapego’s shot to get his team on the board. The Broncos responded quickly with two goals, but Brayden Pachal found the back of the net to cut the Broncos’ lead in half at 4-2 after 40 minutes. Late in the third, Vojtech Budik and Jody Stallard tallied to tie the game at 4-4. In the shootout, Regan Nagy and Kelly solved Stuart Skinner to give the Raiders the win. VS. LETHBRIDGE: This is the final game of the year between the Raiders and the Hurricanes. 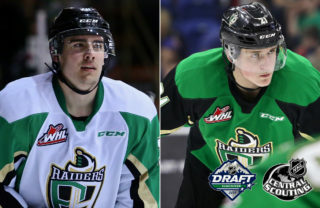 The Raiders have won the last two meetings against Lethbridge this year. SHOOTOUT WIN: Friday night was the third shootout victory for the Raiders this season With Parker Kelly ending the game, he became the third different Raider to tally the shootout winner. 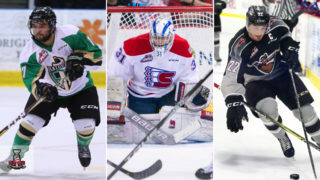 He joined Cole Fonstad and Jordy Stallard as the other two players to win shootouts for the Raiders this year. OFFENCE FROM THE DEFENCE: Vojtech Budik continues to pile up the points in 2018. 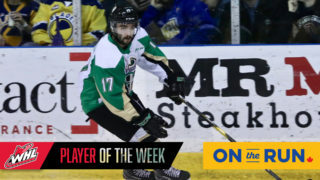 The Raiders’ defenceman scored to earn his second three-game goal scoring streak and second seven-game point streak of the second half of the season. Over this current seven-game stretch, the Buffalo Sabres draft pick has four goals and five assists. PACHAL’S POINTS: Brayden Pachal has set a new career high with five goals following his marker in Friday night’s game against the Broncos. Currently riding a three-game point streak, the Estevan product has already set new career marks in assists (19) and points (24). The goal also snapped a 25-game goalless drought for Pachal, who hadn’t found the back of the net since January 5 against Kootenay. 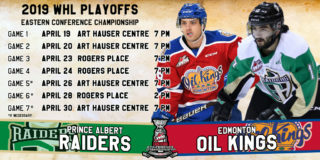 NEXT UP: The Raiders continue their four-game homestand on Wednesday night when the Edmonton Oil Kings visit the Art Hauser Centre. 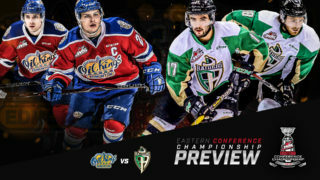 Puck drop is 7 p.m. Tickets are available at tickets.raiderhockey.com, the Raider Office, or by calling 306-764-5348.